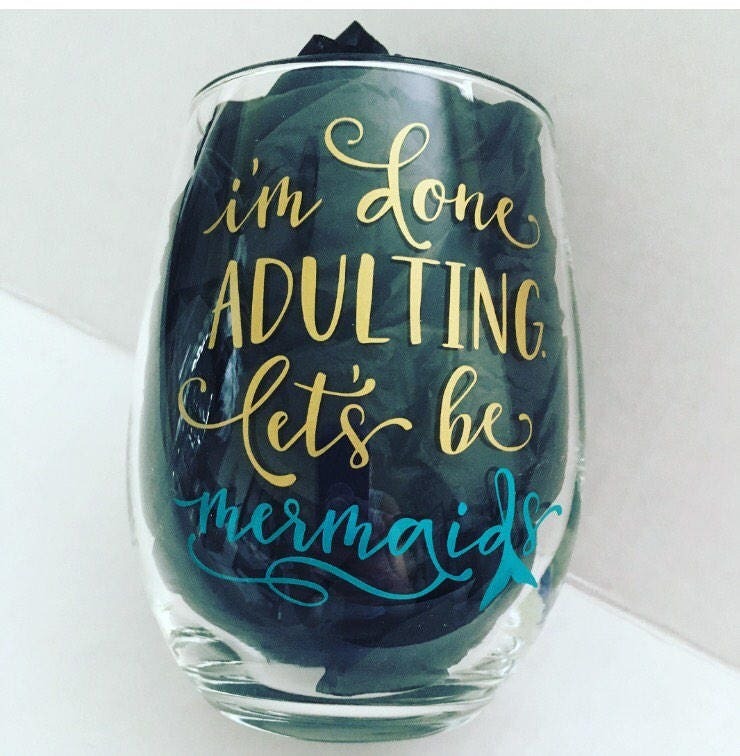 “I'm done adulting. 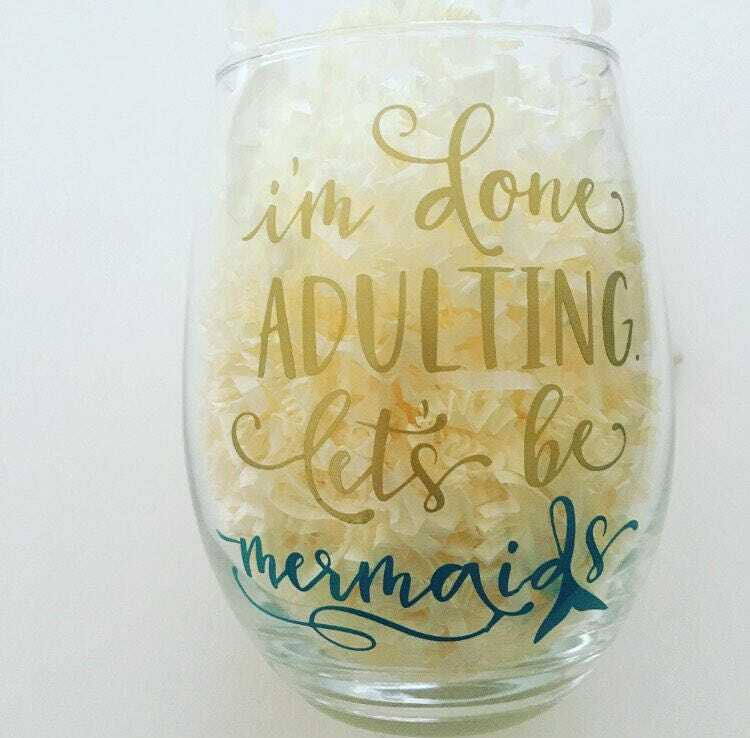 let's be mermaids!" 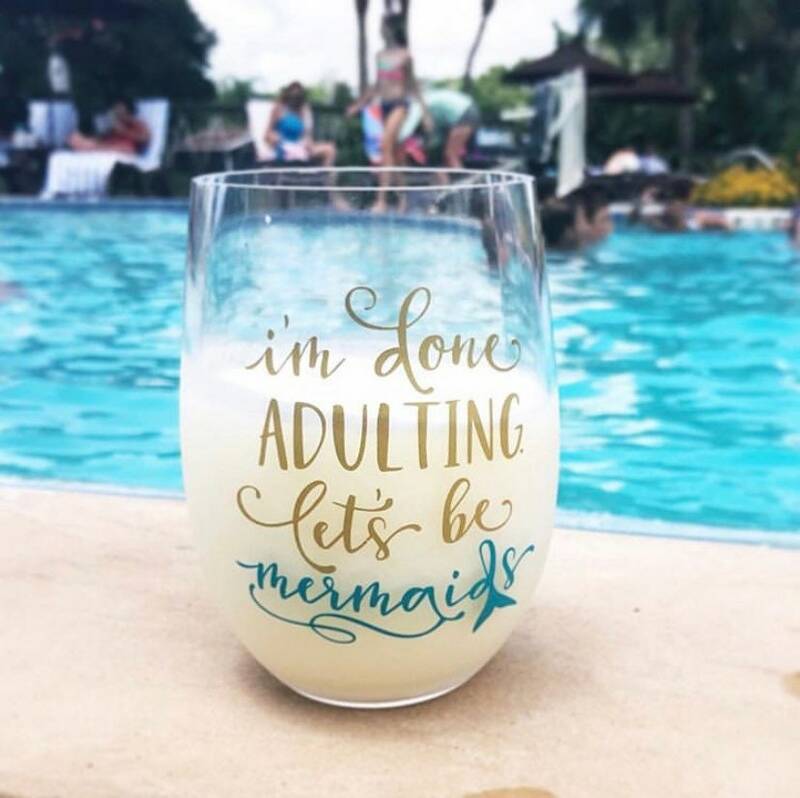 Enjoy a nice glass of wine at the end of your day in this fun stemless wine glass, that is sure to remind you of days at the beach! Loved the glass! It came in super cute packaging, shipped quickly, and arrived earlier than expected. The seller provided excellent customer service and great communication. Highly recommended!